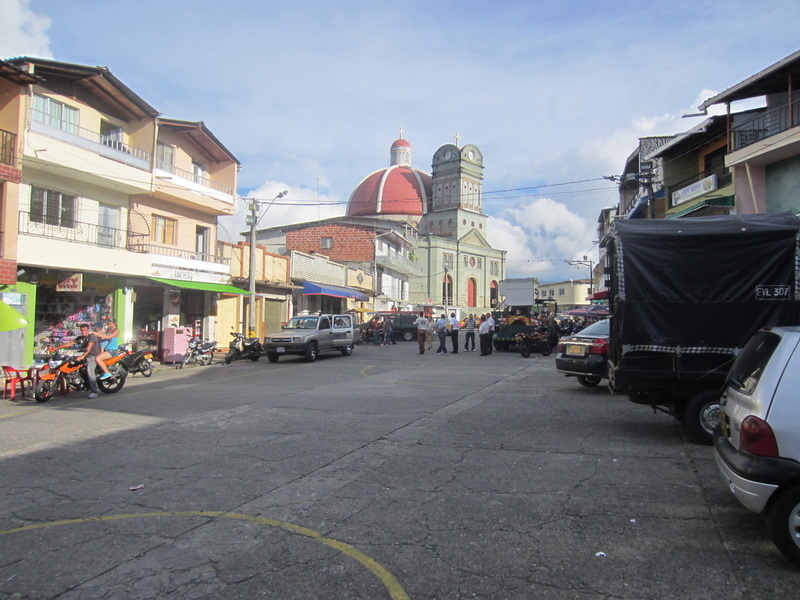 Up and on the road at 0730, ,a coffee and a couple of pollo empanadas were enjoyed at a locals only cafe, so cheap. 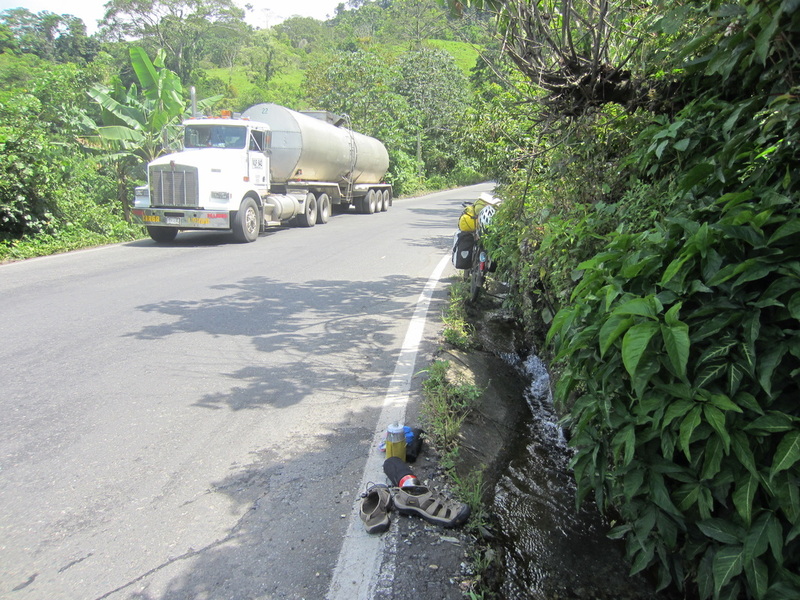 The road again followed the Rio Cauca with it on my left. Gold dredges were heard but not as often as yesterday. The river and the road were now following more of a gorge. 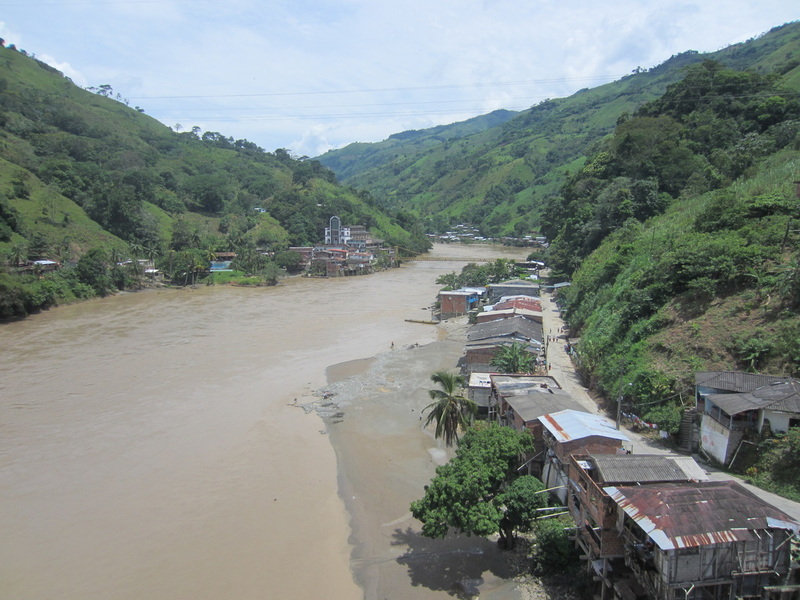 The river is still running a rich brown colour and oh so much water, a huge catchment, it infact catches all the run off this side of Medellin. 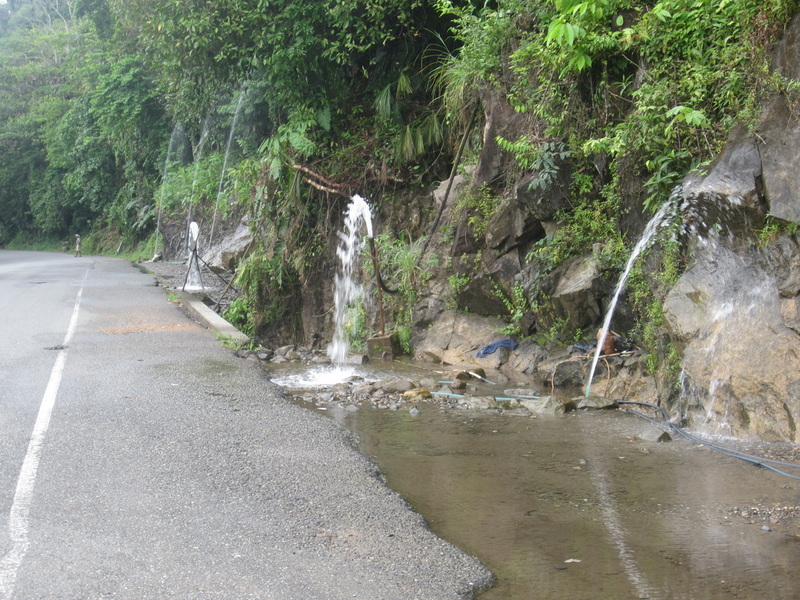 All along the road were poly pipes with water spouting from them, they were running up the hill and capturing the water and had huge head pressure. The people here had no shortage of good drinking water. This runs all year they told me. 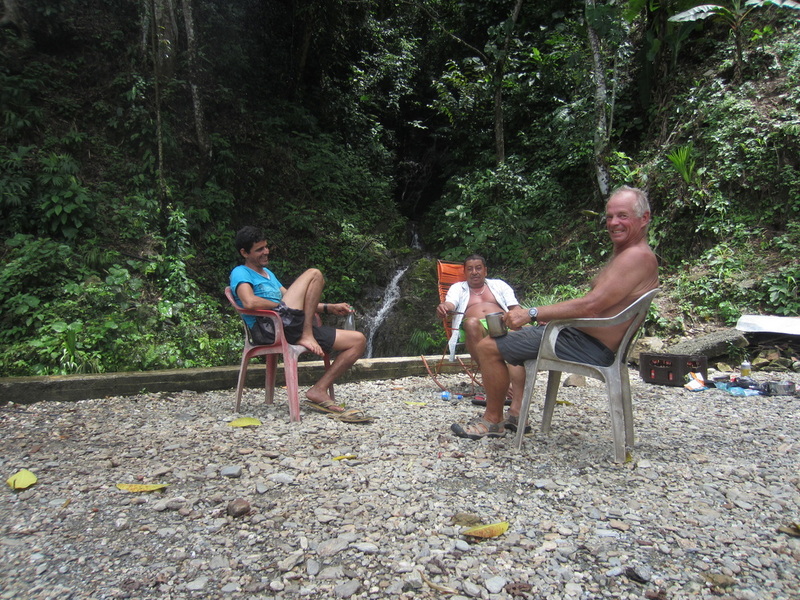 Lunch was enjoyed roadside with 2 guys in a parking area by a creek. Some of my high Country Dehy food was used, it was nice to be cooking although very basically for a change. 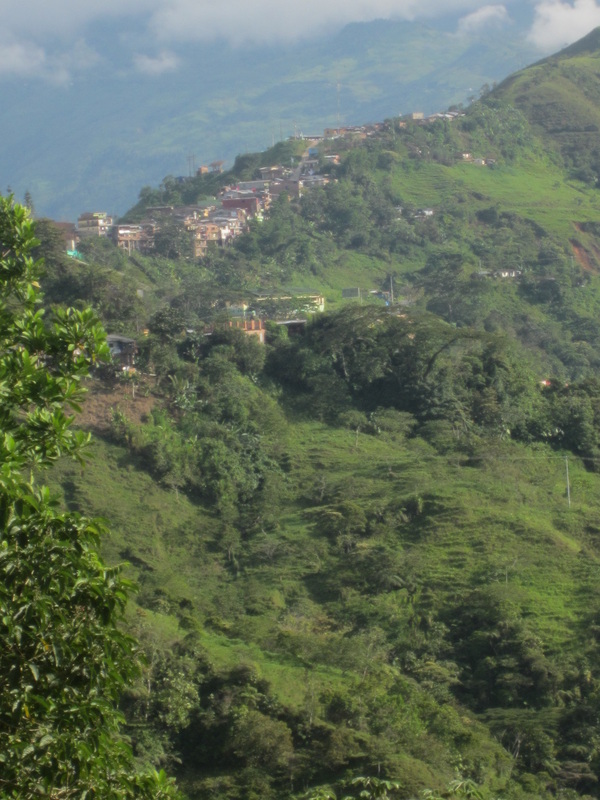 The guys said some coca farms were a 4 hr walk into the hills from here. 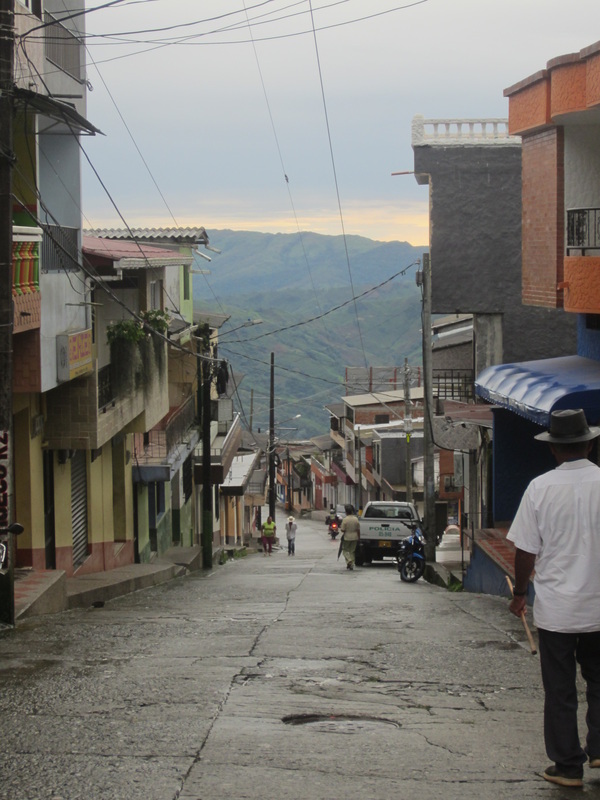 The road then went through a village called Puerto Aldivia and crossed the Rio Cauca. The bridge was high above the river and from its deck , the view was tremendous up and down stream. 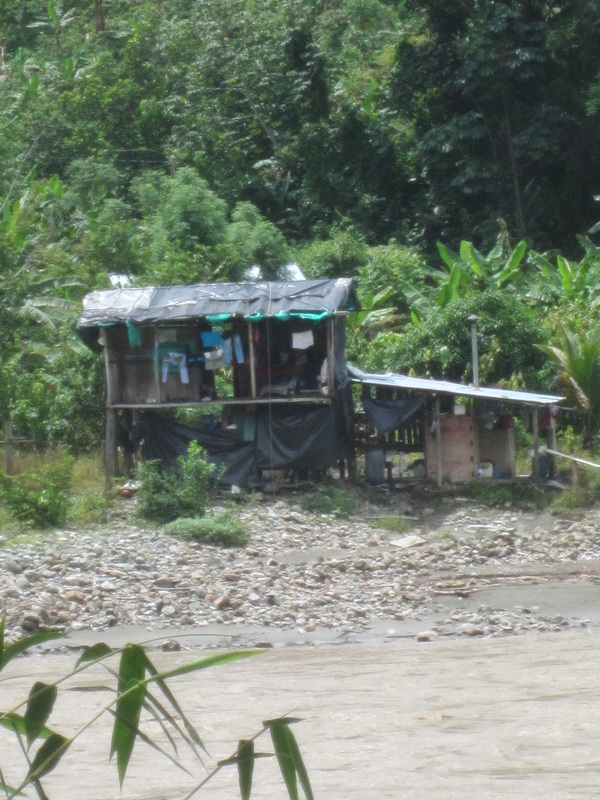 People were gold panning up stream, while downstream a view of the coutry side was enjoyed. The road to here covered 38k of relatively flat terrain. The moment the bridge was crossed the climb started, 24k without let up. 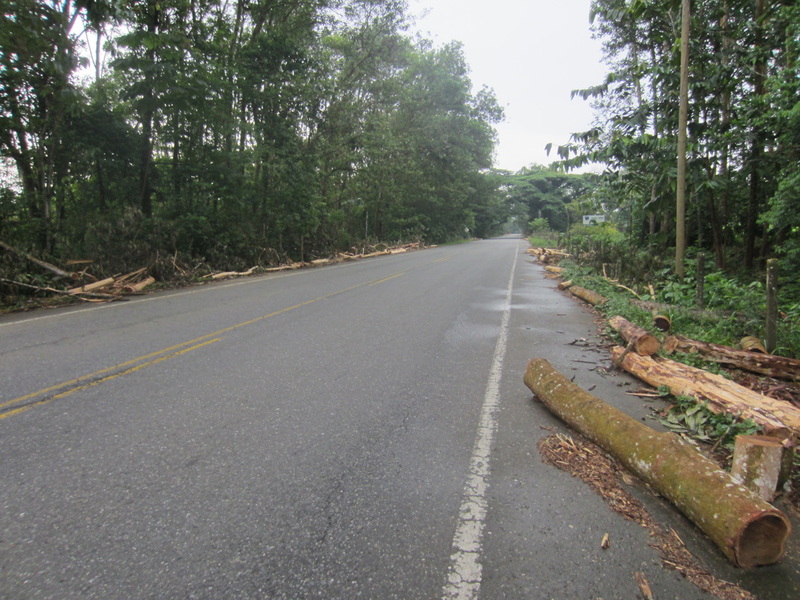 Places where the road had subsided were hard work to climb out of. The road was very busy with many trucks and buses sharing it. They were all very courteous. The views just kept getting better and better and I just kept getting more and more worn out. Stopping every 300-400m for a rest or at one point to eat mangos off the ground with a guy. There was good shade when required. The temperature was also getting more comfortable. I was getting so worn out that walking the bike was the only way forward. It mixed it up a bit. Walking gave me 5.5k and low gear about 6-7k, not alot in it. The most daunting occurrences were when round a corner you could see vehicles miles off to the left still climbing the side of the range. Looking across at the awesome views of the steep hills, small dwellings could be seen, those occupied by farmers, all with one leg longer than the other. Water was filtered from roadside gutters which were all flush with clear, cool ground water. I am not sure what weight other touring cyclists carry, me being fully self contained weighs 150lbs or about 70kg. Coming up here it crossed my mind , is this to much. It is almost like lugging two 40k bag of fertilizer up a hill. It just goes to show how efficient bicycles are. Half a billion Chinese would probably agree. When there are no bicycles about you know it is steep on the roads, a few times guys were seen holding onto the back of trucks hitching a ride, they were to fast for me. Having done this in Nic, it was not a problem behind at truck doing only 15k not 30k. Finnally arriving at the top, the town of Valdivia was sighted, it was perched on a ridge. Getting to my motel, the concrete road was so steep again all I could do was wheel the bike up. In the evening it started raining, the streets were in the clouds it was a sight reminiscent of a night in an alpine village in a ski area. The temperature was the first experience for almost a year near 20℃, it was divine. A few beers were enjoyed as was a brillant meal of chicken and the normal sides. Valdivia from the top of the range, a welcome sight believe me. Roadside timber recovery of a Wattle spp. 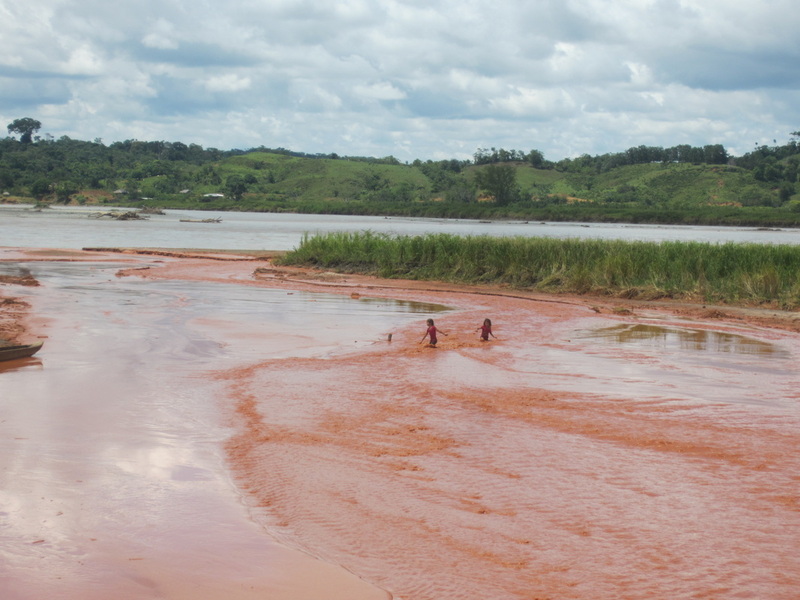 Gold dredging upstream in this tributary, gave it this red colur. The kids were happy non the less.